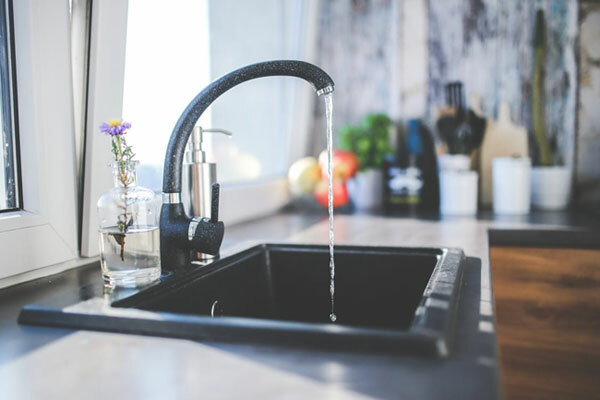 Garbage disposals make it easy for you to get rid of food without filling up your trash can, but not everything is safe to go down the kitchen sink. Keep the following do’s and don’ts in mind, and your garbage disposal will continue working with fewer issues and a longer life. Run cold water while your garbage disposal grinds up food waste. This helps break up any grease or oil that might be lingering on food waste. Put fruits, vegetables and small pieces of food waste in your garbage disposal. Run your garbage disposal on a regular basis to prevent rust and obstructions. Put food waste into your garbage disposal one piece at a time rather than dropping a lot in at once. Clean your disposal by putting dish soap in it and running it with cold water for about a minute to reduce odors. Put baking soda in your disposal, let it sit overnight, then pour vinegar into it for a more thorough cleaning. Put the cover on the disposal when it’s not in use, so utensils and other items won’t fall in. Grind citrus peels in your disposal to give it a fresh scent. Have your disposal inspected for damage to the grinder teeth, if you start having slow drainage or stoppages. Put small bones, such as fish or chicken bones, in your disposal to help sharpen the blades. Put egg shells in your disposal, as they can clog up the pipes. Put rice, pasta and other grains in your disposal, as they expand with water and can clog disposal traps. Put non-food items in your garbage disposal. This can cause a lot of damage. Put celery and other fibrous items in the disposal, as they can wrap around the grinding teeth and prevent them from working. Dispose of grease, oil or fat in your disposal, which can solidify and clog the drain. Put coffee grinds in your disposal, as they can build up and cause a messy drain. Put fruit pits in your disposal, since they’re hard enough to cause damage. Shut off the faucet while the garbage disposal is running. Dump large pieces of food into your garbage disposal (a lot at once). Clean your disposal with bleach or other harsh chemicals. North County Plumbing is located in Oceanside, California and has been in the service business since 1970 providing quality plumbing services including leak detection and drain service. Our qualified technicians are available 24 hours a day to help with emergency plumbing repair services… Contact us today for a free quote!